The copy of the Federalist Papers that is pictured above is a first edition in the collection of the Library of Congress. It was originally owned by Alexander Hamilton’s wife, Elizabeth, who gave it to her sister, Angelica Church, from whom her friend, Thomas Jefferson, acquired it. Apparently relying on information supplied by Madison, Jefferson assigned the pseudonymous “Publius” essays to Hamilton, Madison, and Jay in a list on the flyleaf of this volume. My Note – When I was running through the news surf tonight, there was Speaker Newt Gingrich on Hannity for FoxNews. After listening a bit, Speaker Gingrich mentioned the Federalist papers and he made a very accurate explanation of what created the rule of Constitutional Law, the Declaration and the other legal instruments that formed our government. After having been subjected to the rule of England that, at the time, chose to break the law as it suited and to deny representation for the interests of the Colonists in the House of Commons, the English subjects in the new America understood the hand of brutality under law that was no law at all, by having experienced it. The writings in the Federalist papers are worth reading, but it is not what I’m looking for tonight that help define for me what the Constitutional guarantees actually mean, although some of it is certainly found in those writings. I also used two large  collections published by Mr.
major speeches and  official documents; the excellent work of M.
filed in the Archives of  Foreign Affairs. Courses offered by the  life of Franklin. What Franklin addressed  to his children may be useful to everyone. feet above mean sea level, they were from the southwest at 10 knots. shown in the accompanying figures. the blast and radiation produced. material for nuclear weapons (7; 12). possible and concluded that its construction should begin immediately. was code-named the "Manhattan Project" (12). LASL, Manhattan Project scientists and technicians, directed by Dr. J.
be solved before a nuclear weapon could be developed (12). The Frisch–Peierls memorandum was written by Otto Frisch and Rudolf Peierls while they were both working at the University of Birmingham, England. 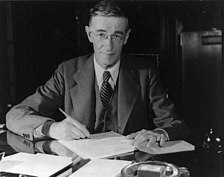 The memorandum contained new calculations about the size of the critical  mass needed for an atomic bomb, and helped accelerate British and  U.S. efforts towards bomb development during World  War II. Given to Marcus Oliphant,  Oliphant passed the document on to Henry  Tizard, chairman of the Committee on the Scientific Survey of Air Defence who, as a result, requested the setting-up of what was to become the  secret MAUD Committee. The memorandum (a copy of which is held  in the Public Record Office at Kew) is dated  March 1940. The two men were the first to calculate that an atomic bomb would  require about 1 lb of the isotope uranium-235. (The estimate of 1 lb turned out to be too low; see Critical  mass.) Before it had been assumed that the bomb itself would  require many tons of uranium, implying that it was theoretically  possible, but not a practical military device. An earlier letter to President Franklin D. Roosevelt, signed by Albert Einstein (but written by Leo Szilárd), had suggested it may need to be  delivered by ship but could not be small enough to drop from the air. The memo was written in two parts. The second was an explanation of  the science supporting their conclusions. The first was an elegant and  comprehensive outline of the implications of their calculations. It  included a proposal that the best defence against such a weapon would be  to develop one before Germany did so. In a few short pages these two  scientists had anticipated the policies of deterrence which would later shape Cold War geopolitics. The attached detailed report concerns the possibility of  constructing a “super-bomb” which utilizes the energy stored in atomic  nuclei as a source of energy. The energy liberated in the explosion of  such a super-bomb is about the same as that produced by the explosion of  1000 tons of dynamite. This energy is liberated in a small volume, in  which it will, for an instant, produce a temperature comparable to that  in the interior of the sun. The blast from such an explosion would  destroy life in a wide area. The size of this area is difficult to  estimate, but it will probably cover the centre of a big city. In addition, some part of the energy set free by the bomb goes to  produce radioactive substances, and these will emit very powerful and  dangerous radiations. The effect of these radiations is greatest  immediately after the explosion, but it decays only gradually and even  for days after the explosion any person entering the affected area will  be killed. Some of this radioactivity will be carried along with the wind and  will spread the contamination; several miles downwind this may kill  people. The memorandum helped galvanize both Britain and America down a path  which lead to a report by the British MAUD Committee, the Tube  Alloys project, the Manhattan Project, and ultimately the atomic bombings of  Hiroshima and Nagasaki. *In 1933 Hungarian physicist Leó Szilárd had proposed that if any neutron-driven process released more neutrons than those required to start it, an expanding nuclear chain reaction might result. Chain reactions were familiar as a phenomenon from chemistry (where they typically caused explosions and other runaway reactions), but Szilárd was proposing them for a nuclear reaction for the first time. However, Szilárd had proposed to look for such reactions in the lighter atoms, and nothing of the sort was found. Upon experimentation shortly after the uranium fission discovery, Szilárd found that the fission of uranium released two or more neutrons on average, and immediately realized that a nuclear chain reaction by this mechanism was possible in theory. Szilárd kept this secret at first because he feared its use as a weapon by fascist governments. He convinced others to do so, but identical results were soon published by the Joliot-Curie group, to his great dismay. /*A few months after he was put in charge of fast neutron research, Berkeley physicist J. Robert Oppenheimer convened a conference on the topic of nuclear weapon design. /*The Los Alamos National Laboratory was built on a mesa that previously hosted the Los Alamos Ranch School, a private school for teenage boys. The site was chosen primarily for its remoteness. Oppenheimer had known of it from his horse-riding near his ranch in New Mexico, and he showed it as a possible site to the government representatives, who promptly bought it for $440,000. In addition to being the main "think-tank", Los Alamos was responsible for final assembly of the bombs, mainly from materials and components produced by other sites. Manufacturing at Los Alamos included casings, explosive lenses, and fabrication of fissile materials into bomb cores. Not copyrighted in the United States. If you live elsewhere check the laws of your country before downloading this ebook. retraite.--Sa mort.--Deuil public en Amérique et en France.--Conclusion.